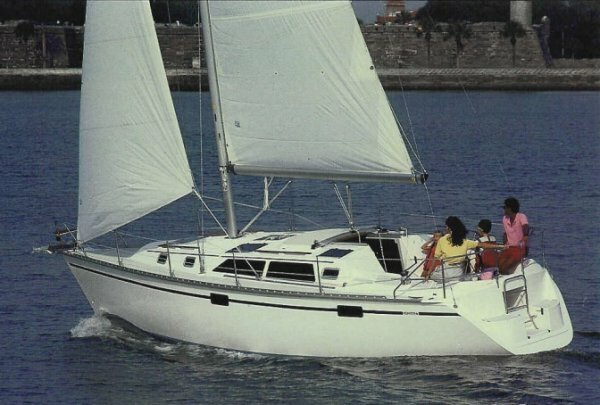 A simlar version sold as the MOORINGS 335. At this time, this and other Hunter's were available with several different keels including std.fin keel, 'bulb wing'. 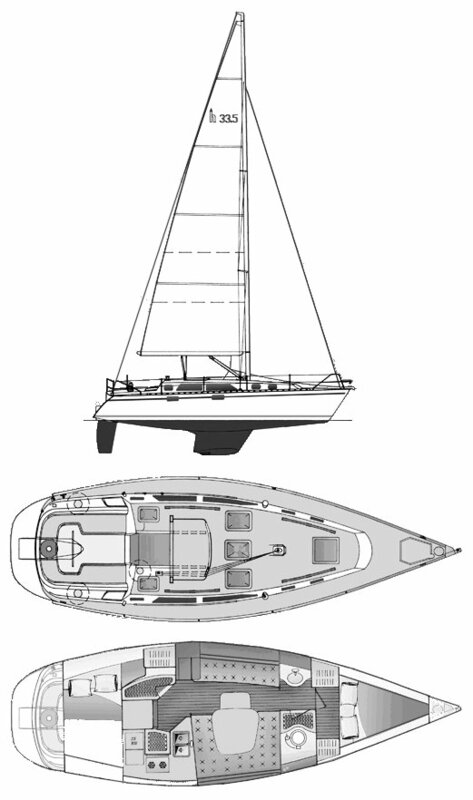 'elliptical wing' and 'Collins tandem keel'.